Home › Uncategorized › PARTY PARTY !!! Yes it’s party time again ! I know I know. 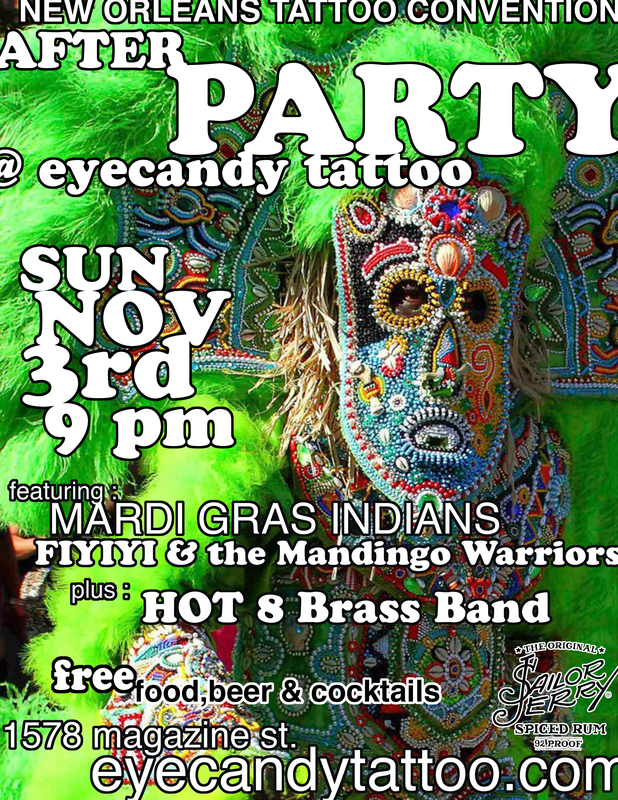 Come check out HOT 8 brass band and Mardi Gras Indians Fiyiyi & the Mandingo Warriors. Gonna be an amazing night.